This adjustable geometric bracelet is from the Geodescent collection from Honora. 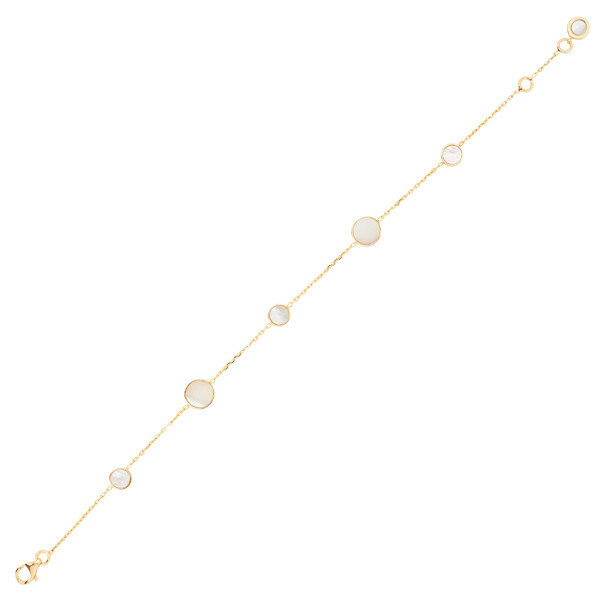 Crafted in 14K yellow gold, it features circular slices of freshwater cultured Mother-of-Pearl in assorted sizes, spaced along a precious metal chain. The shapely and stylish piece is destined to become a jewelry box favorite, today and tomorrow.